Today’s blog is written for the family members and close friends of those who have depression or bipolar disorder. 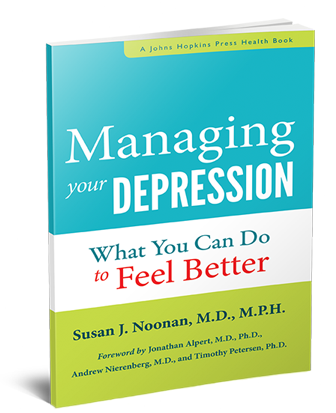 I was recently interviewed for an article and later asked to write a guest blog; the topic for each one was “what not to say to someone who has depression.” This is in contrast to the more positive advice I offer in my new book, When Someone You Know has Depression: Words to say and things to do, which has a focus on what TO say that is helpful. It’s interesting to think about these different approaches and why certain words do or do not resonate with your loved one, or may even cause him or her to feel worse. We all know that most of you, the family members and close friends, mean well and are trying your best. Having been there, I can say that it’s hard to stay positive when you’re fatigued, stressed, or frustrated in dealing and living with the illness, but you do want to avoid accidentally making negative comments or blurting out snap clichés. They are not helpful to your family member who has depression and often times make things worse by breaking down the trust and communication you are trying to build. What do I mean by negative comments? They fall into several categories, the first one being anything that is dismissive, invalidating, or minimizes his or her problems. Things like “How could you possibly feel this way?” Another category to avoid are judgmental, blaming or critical statements, such as “It’s all in your head!” Third, it’s also not helpful for you to make assumptions (or jump to conclusions) about the person who has depression, or about how or what he feels or thinks, especially without the full facts. Your family member has a right to his or her own feelings and thoughts, even if you don’t agree with the content. Instead of outright telling him that his thinking is impaired, or what he should be doing, feeling or thinking, it is preferable for you to show by concrete example where his current logic doesn’t match his real life experiences. There are about three dozen negative comments that come to my mind when I think of “what not to say.” My least favorite comment to hear is “Hang in there!” a mindless cliché that can have double meaning in depression. It sends shivers up my spine!! There are several reasons for this, and they are complex. The person saying it might have pretty good intentions. For example, he might want to encourage the family member who has depression to draw on his inner strengths and perseverance, to hold on and not give up until treatments work and times get better. The speaker might think it’s a hip or cool way of saying “I know you feel you’re on the edge, holding on by your fingertips.” Or “Don’t quit.” Since it’s usually said upon parting, he rarely takes it to the next step in offering help, leaving the person who has depression to falter on his own. The phrase is also easy to blurt out and frequently overused, often said in haste without much thought put into the statement or what is really going on in the person. It’s used as a quick, generic “something” to say when you’re at a loss for words. In contrast, the person who has depression and hears this comment is likely to perceive it as an invalidating and dismissive statement. He thinks – this person doesn’t care enough about me to think about a real, genuine or helpful response to my problems, so my problems (and I) must not be important. If he doesn’t care, why should I? In the most severe depression, the person who has depression might think it indicates that his concerns aren’t considered legitimate so he might as well just go dangle by a rope and hang himself. Dangerous territory! But that’s what might come to his mind in its impaired thinking state. One of my objections to “Hang in there” is that it is yet another reminder of hopelessness to someone in a vulnerable position. You want to avoid this in a troubled person prone to impulsive action who sees no way out of his painful circumstances. My recommendation is don’t use the phrase “Hang in there” – search for other ways to communicate your message that will resonate with your family member. For example, try to respond with something like “I hear you feel you’re ___. That must feel awful. Where do you think that comes from? What about the time you___?” and then offer an example or achievement from his life that counteracts his negative feeling. After reading this, if you still want to use the phrase “Hang in there” at least preface it with some kind and understanding words that indicate you appreciate his situation and the difficulty he has getting through each moment or day. If you the reader have depression or bipolar disorder and reading this blog today causes you additional distress, please call your mental health provider, go to your local Emergency Department or dial 9-1-1. A version of this article was previously posted in my column View From the Mist on Psychology Today.